The winter months here on Ibiza bring with them the feeling of peaceful isolation, a dramatic contrast to the swarming summer season. Most bars and restaurants are closed, the beaches and roads are empty and the population is reduced to a tiny trickle, compared to the constant heavy flow of people traffic in summer. It’s quiet that’s for sure, and you certainly won’t find a party calendar or many options for a night out. What you will find, however, is the opportunity to explore the island and the alternative things it has to offer. Many of these “hidden gems” take a back seat to partying and sunbathing in the summer. First off, you’ve gotta hire a car. Rental is really cheap and in the winter you can get an amazing deal. The roads are really quiet this time of year. It’s the perfect time to sample some left-hand driving whilst absorbing views of sleepy villages and the spectacular Ibiza countryside. 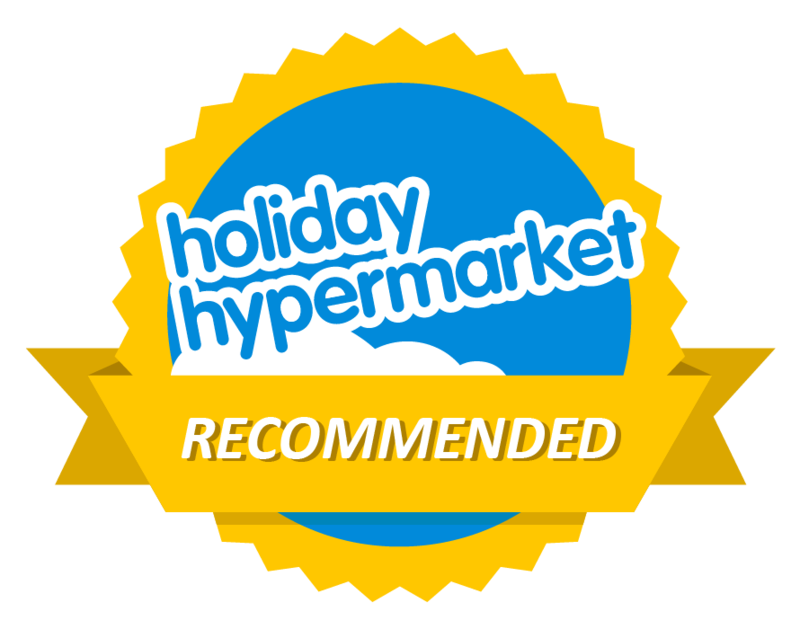 Accommodation can also be found at reduced prices. Most of the hotels are closed but you will still find a small selection of hostels or bed and breakfasts still in operation. There are several markets running regularly throughout the winter. My personal favourite, San Jordi is held on a Saturday at the Hippodrome. It’s mostly a second-hand market, a cross between a car boot sale and Aladdin’s cave, you never know what treasure you’ll find there! During the cooler season, it’s common to find local drummers performing throughout the afternoon. Las Dalias Hippy Market also runs each Saturday throughout the winter as well as holding a special Christmas market in December. 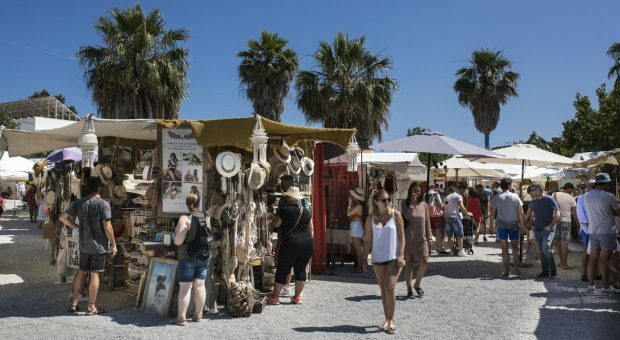 San Joan market runs each Sunday with live music from around 1 pm. In the winter the markets have a much more intimate atmosphere and vendors are a lot more open to bartering. It’s a lot cooler in the winter and days are sunny, which makes the idea of hiking much more appealing. There are many amazing walking routes to be found on the island. 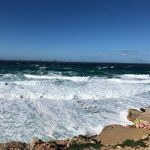 Cap Des Falco and Salinas in the south offer dramatic views across the salt plains and over to Formentera. The rolling winding hills of the north present the islands most untouched and spectacular countryside. Inevitably, most of the routes will lead you towards and around the coast at some point. 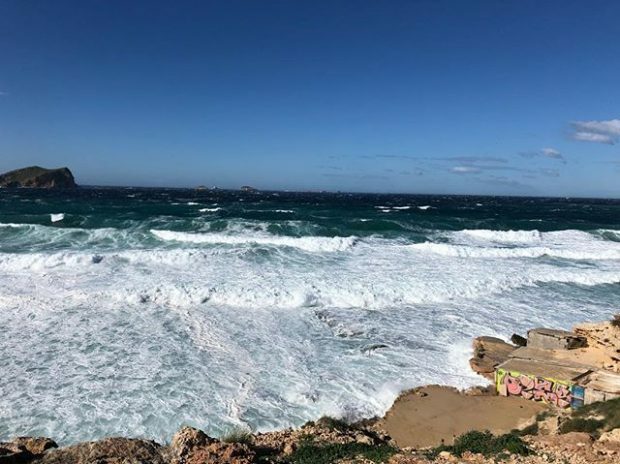 Here you will find the smooth, calm Mediterranean unrecognisable in its winter form, as dramatic waves crash onto the shores of empty beaches. 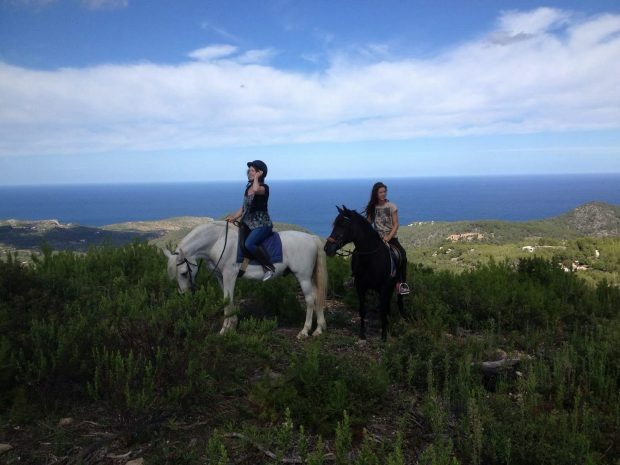 Why not try exploring the island cowboy style on the back of a horse? A perfect way to explore the countryside as well as your own confidence! The horses of the island live here all year round and off season they become a bit redundant. Horse riding on the beach isn’t allowed in the summer but in the winter they are open for equine adventures. You can even go swimming in the sea with your new found, four-legged friend. Did you know that Ibiza has several important historical points of interest? Some of which have also been awarded UNESCO World Heritage Site status. The Dalt Villa in Ibiza town provides examples of Phoenician, Roman, Moor and Catalan architecture as well as being home to two archaeological museums and an ancient necropolis. A walk up and around the old town inspires wonder, and views out to the sea from the top are breathtaking. Other historical sights include the Phoenician settlement of Ses Caletes, cave paintings at Ses Fontanelles and also the goddess Tanits cave close to Cala San Vincente. This is another recreation that is much more appealing and less demanding in the cooler climate. Ibiza is a very popular destination for cyclists all year round and offers an array of well signposted routes and tracks to follow, catering for both on and off-road cycling. This is a great way to explore the hidden Caminos (dirt tracks) that intricately weave through the forgotten countryside. You won’t find yourself in a crowd of thousands being blown away by the world’s greatest DJ’s but it is still possible to party a little here in the winter. 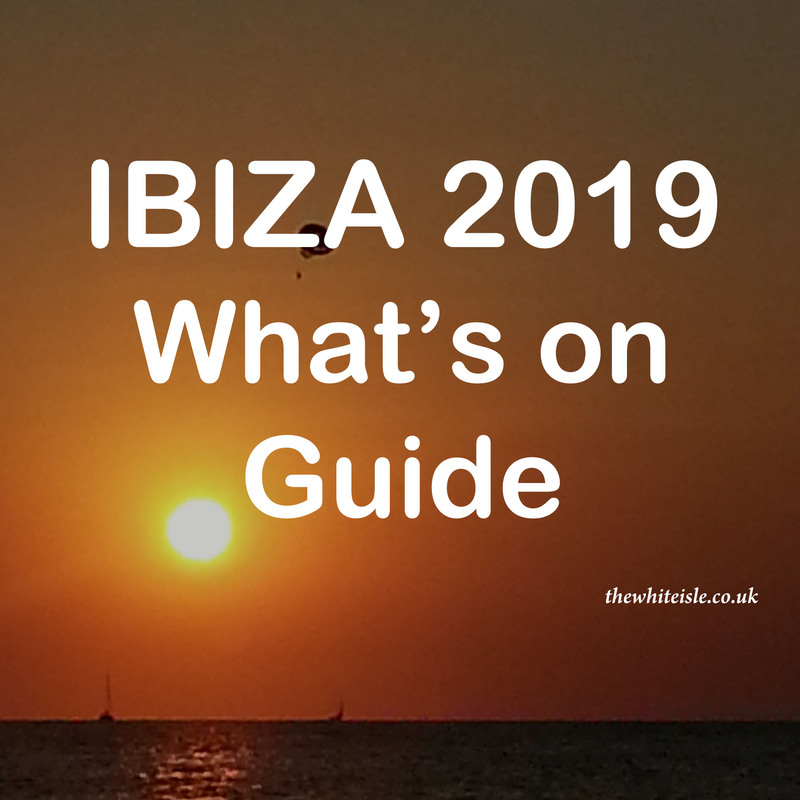 Pacha nightclub is open all year round, on the weekend and there are some bars and small local clubs open in the main towns of Ibiza, Santa Eulalia and San Antonio with Eden opening on some dates throughout the winter months. You will find plenty of places to enjoy culinary delights during the winter months. Again, the major towns offer the biggest selection of operating restaurants. Some of the popular summer restaurants are still open but on a reduced timetable. 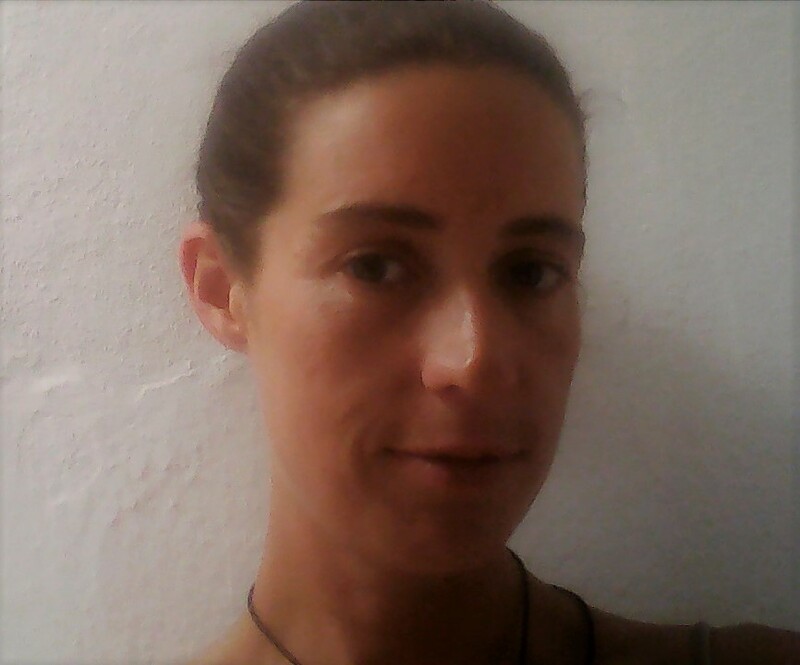 Options are a bit more limited to local Spanish cuisine, giving you the opportunity to delve into the local culture, which of course, is what the winter is all about. So although a lot quieter and more laid back there is still a lot to do in the winter months on Ibiza and the island gets a real chance to show off its true beauty missed by so many in the summer months.